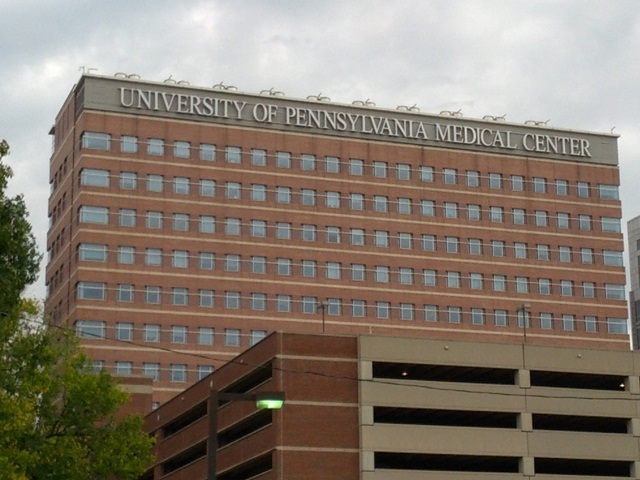 I walk by this building every day, and I only recently realized it says “University of Pennsylvania Medical Center” at the top. There are so many tall buildings on Penn’s campus. I have to remind myself to “look up” every once in a while, so I don’t miss the details. Has anything on campus surprised you recently? View of the Biomedical Research Building II/III from University Blvd and Curie Blvd. Filed under Alumni Perspective, Campus Life, Stephanie Y.